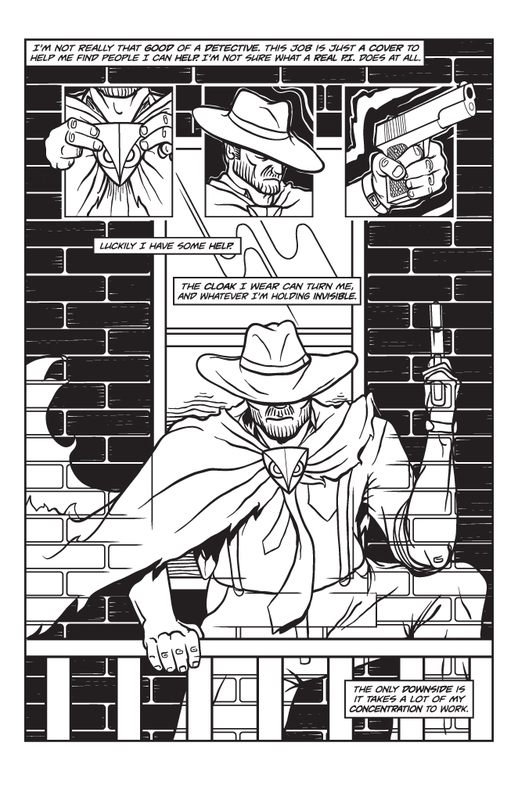 It’s that time again…time for another page of Twisted Tales of Two-Fisted Justice! We introduced you to Vic Waters two weeks ago, but now it’s time for you to meet the true hero of 1930’s Cincinnati: Justice! I’m glad we could work a splash page (or two) into our first comic. There’s even a two-page spread coming soon! The idea was not only to produce our first comic, but challenge ourselves while we were at it. And while it was a lot of work, it was also a lot of fun to make! See you in 7! And thanks for reading!